San Diego Central Library: If you’re a book lover, the San Diego New Central Library located downtown is worth a visit. This huge library (9 stories, 366,673 square feet) is a nice spot to take a break, read a book, or catch up on work. There is free parking for up to 2 hours (with validation), a cafe, a courtyard, a rock garden, art, and stunning views from the 9th floor. Mission Bay Park: While not downtown, the Mission Bay Park isn’t too far away (about 15-20 minutes) and worth the short trip. It features 19 miles of sandy beaches with eight swimming areas, playgrounds, 14 miles of bike paths, fire pits, and barbecues. It’s great for families, with some of the areas offering swimming with a playground close by. Perfect for picnicking, playing basketball, or flying a kite. Some areas allow dogs too. Come early in the summer (especially weekends) as the parking lots fill up quickly. 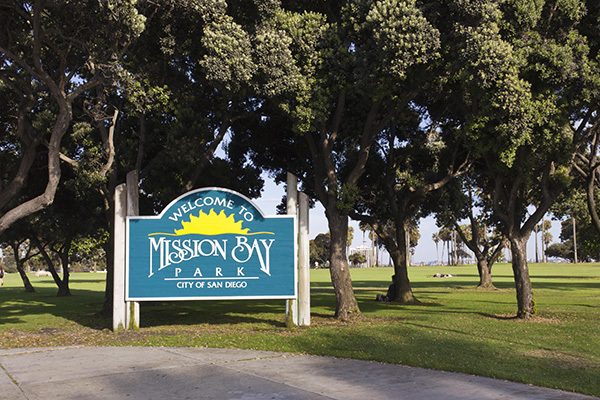 Waterfront Park: Located about 10 minutes from Downtown San Diego is Waterfront Park that picnic areas, fountains, a children’s playground, and a garden. 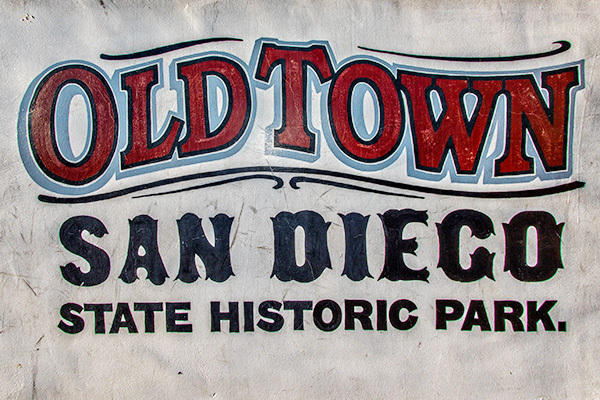 Old Town State Park: The Old Town State park is where the city of San Diego began. It has many museums and historic buildings that you can tour for free, including the Casa de Estudillo, First San Diego Courthouse, Seeley Stables, Robinson-Rose House, San Diego Union Museum, Sheriff’s Museum, Stewart House, Serra Museum, United States House, Wrightington House, and Mason Street School (the oldest schoolhouse in San Diego), that you can tour for free. Mormon Battalion Historic Site: Located in Old Town, the Mormon Battalion site shares the history of Mormons who came to San Diego to help fight in the Mexican-American war. Along with learning the history, there are free hands-on exhibits, such as panning for gold and brick making. 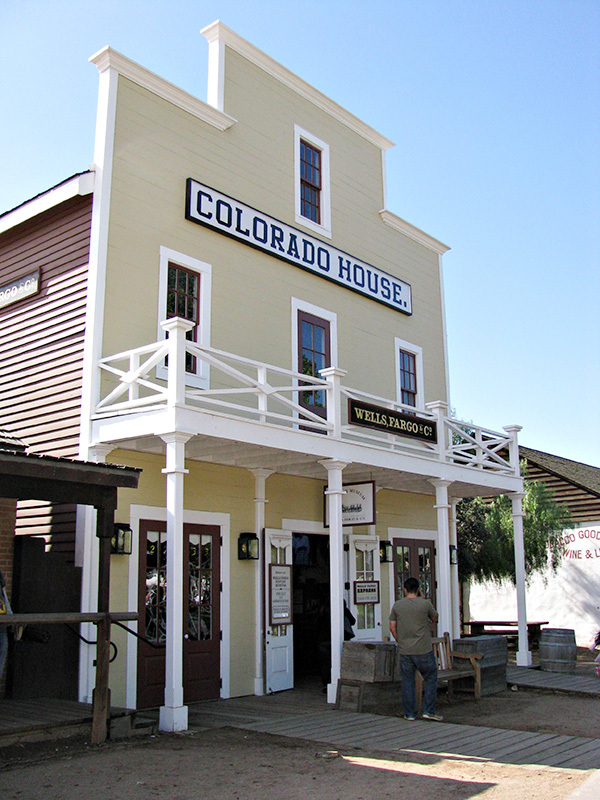 Wells Fargo Museum: Located inside the Colorado House in Old Town, you can see exhibits such as an original Concord Coach from 1867, an original panoramic painting of San Diego in 1855, a 19th-century pocket watch, and two authentic telegraphs. Admission is always free. This is just the start of the free things to do near Downtown San Diego. And, if you are willing to travel a bit further, the city has, even more, to offer, such as free music, movies in the park and hiking trails. Be sure to check local calendars so you’ll know when and where. What are your favorite free things to do near Downtown San Diego? Need a hotel? Check these San Diego Hotel Deals!